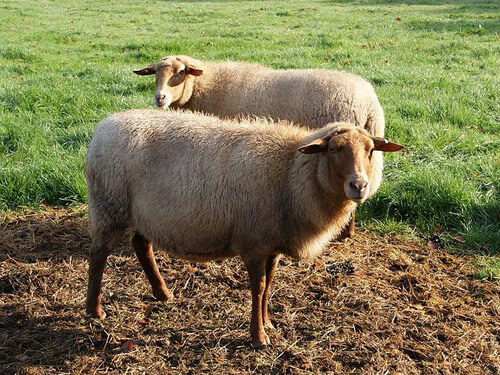 Coburger Fuchsschaf are a breed of landrace sheep that were almost extinct. In the 19th century Coburger Fuchsschaf populated the European hilly ranges abundantly. These red fox-colored sheep could be found under names that indicated their color or living area, such as Golden Fox, Eisfelder Fox Sheep, Eifeler Sheep, Ardenais Solognotes, or Rousse Tetes. In the beginning of the 20th century, 60% of the sheep in the German Coburg area were Coburger Fuchsschaf with the red fox-colored heads, but by World War II they were nearly extinct.